Turkey’s on-again, off-again EU membership bid will be in the spotlight when Turkey’s minister for EU affairs travels to Brussels on Wednesday. 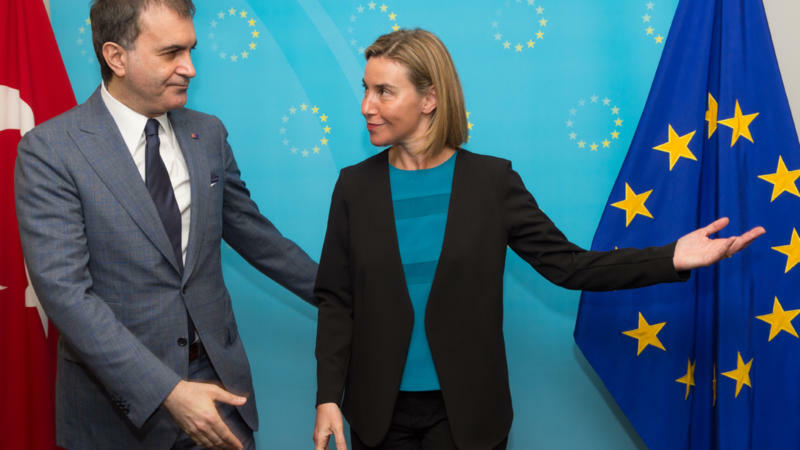 Although relations between the two have endured numerous crises since Turkey first applied to join the EU in 1987, last month’s referendum has brought the relationship to a new nadir. Amid an increasingly authoritarian environment, the April 16 vote afforded sweeping new powers to President Recep Tayyip Erdogan, whose crackdown on free speech and the political opposition are deal-breakers in the already tense accession talks. However, the bloc is likely to stall, rather than sever, Turkey’s accession. Ankara holds not just one crucial bargaining chip, but three million: the number of Syrian refugees hosted in Turkey under a controversial migration deal last March. Brussels is understandably anxious about the collapse of this deal—after all, the immigration influx of 2015 did, at least partially, driven anti-migration and anti-EU populists to the brink of power in Italy, France and Holland. Regardless of Turkey’s questionable human rights record, the EU will continue to do business with the world’s 18th largest economy. A special economic status agreement or the oft-discussed visa-free travel arrangement could soothe tensions and keep the migrant deal in play.